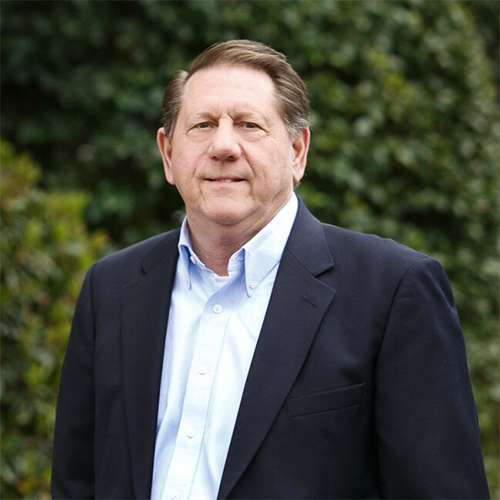 Allan Newcomb | Mikels & Jones Properties, Inc.
Allan Newcomb is a commercial land broker with expertise in single family, multifamily, retail site selection, and land sales in the Research Triangle Markets. He has been associated with Mikels & Jones Properties since 2012. A Raleigh native, Allan attended both UNC Chapel Hill and North Carolina State University. He is a 1974 graduate of North Carolina State University, School of Geology. Allan developed his real estate experience and career in Charlotte and Mecklenburg County. He has been involved in a wide variety of commercial specialties including leasing and management of CBD high-rise office buildings, multifamily properties, and industrial buildings. As a principal, he developed over 2,000 single family and multifamily home sites in twenty neighborhoods over a ten year period. Allan is married to Rebecca McClain of Charlotte and together they have seven children and many grandchildren. Their hobbies are focused on travelling annually with grandchildren to visit major National Parks, especially in western United States.